Although my brows barely need much filling in since having them microbladed (you can read all my posts on the procedure here), I still rely on certain products to make them look more 'done' when wearing a face of make-up. I've been so used to reaching for my Soap & Glory archery pencil to add depth on top of the semi-permanent make-up, that I had forgotten my love for brow kits. Before I had my brows tattooed, I always found brow kits so useful for reconstructing my bald brows. The powder formulas give a full look and also minimise any shine that may make it obvious that there are no hairs there. Trichotillomania has made me hate photos of myself. Something you don't realise until you have no eyebrows is that even with make-up filling them in, photos often show the baldness (it makes them look shiny...it's difficult to describe but the photos almost take away the make-up). The best ways to try and stop this is either lightly dusting translucent powder over the brows or using a brow powder to fill them in. 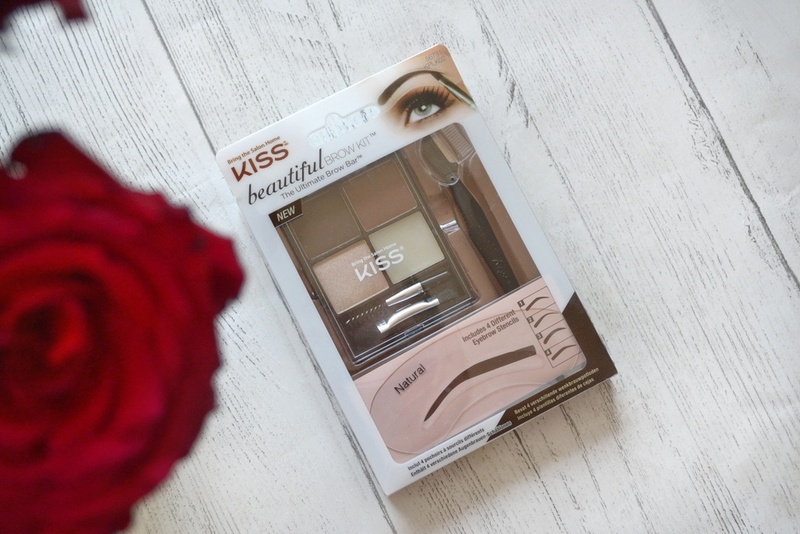 I got so much use out of my beloved Brow Zings kit (a Benefit product), and when I found this Kiss brow kit whilst sorting through my beauty stash, thought I would start using powders again. I've been finding the brow kit is so easy to use, and makes filling them in a doddle. It does make brows look slightly more blocky than if you were to try and draw the hairs on with a pencil, but as I have the microblading underneath, you can still see evidence of hair strokes so the powders actually blend quite well with what I have- I am really enjoying the results. If you are bald or have patches, a good way around this 2D look would be to use the brow powder as a base and then use a pencil or tint (such as this Soap & Glory one) to then draw the hairs over the top. 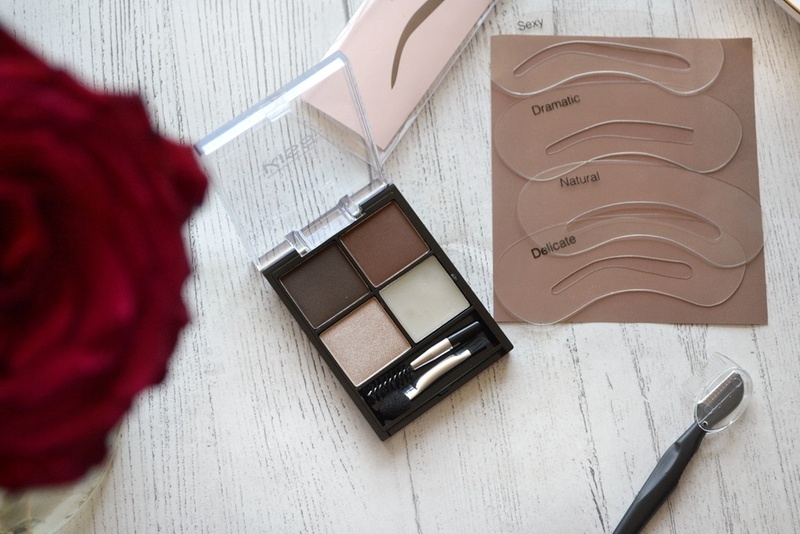 This Kiss Beautiful Brow Kit comes with the main palette (a quad of two powders, a wax and a highlighter for underneath the brow bone), a spoolie/razor combo for taming stray hairs and a set of stencils. Now, the spoolie isn't much use to me so I cannot comment on how it works, and as I have my brows microbladed I do not need to use the stencils and haven't tried them out. (Plus, I am not overly convinced that stencils are much use for hair loss...you can read my post on them here). In fact, the only things I really use from this kit are the two coloured powders! The brow powders themselves are awesome. I love the colours and mix the two together (the lighter one is too warm on its own, whilst the darker is cool but too dark alone... combined they are perfect!). They are really pigmented, and I just find them so easy to use in the morning when I'm rushed for time! They do create a bolder look, but with a full face and winged liner they do not look out of place at all. The wax part of the quad is for taming unruly hairs and gives the powder something to cling to. However, I found the powder works well without the need for the wax. The kit comes with a sponge as an applicator- its a cheap move on the brand's part, and you will need to use a small brush to apply the powder as the sponge just doesn't cut it. You need accuracy with brows! (I have used the little brush that comes with Benefit's Brow Zings instead!). 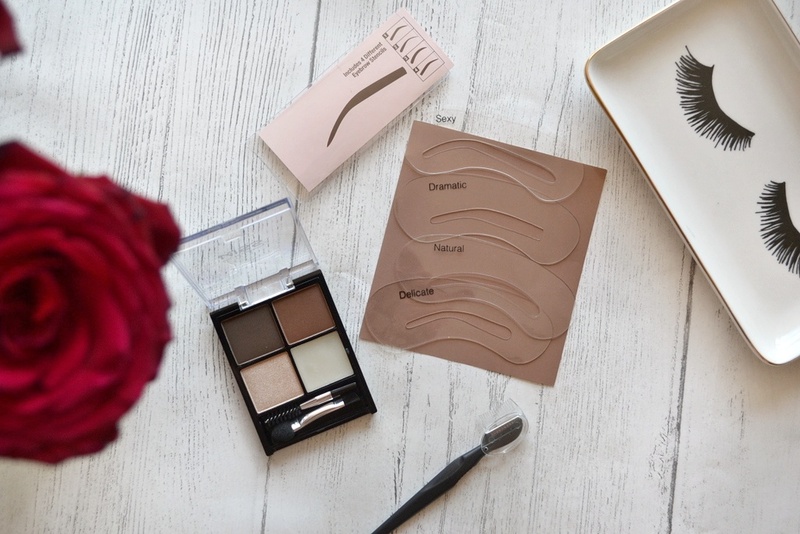 Overall, for £9 this is a good and affordable little brow kit that comes with everything you may need (except a brush). 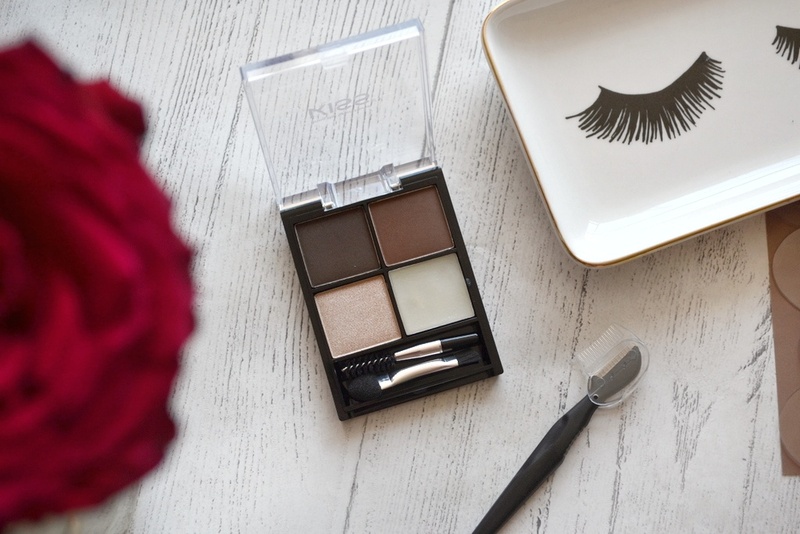 I've been using the powders regularly to fill in my brows, and for these alone I would get the kit! 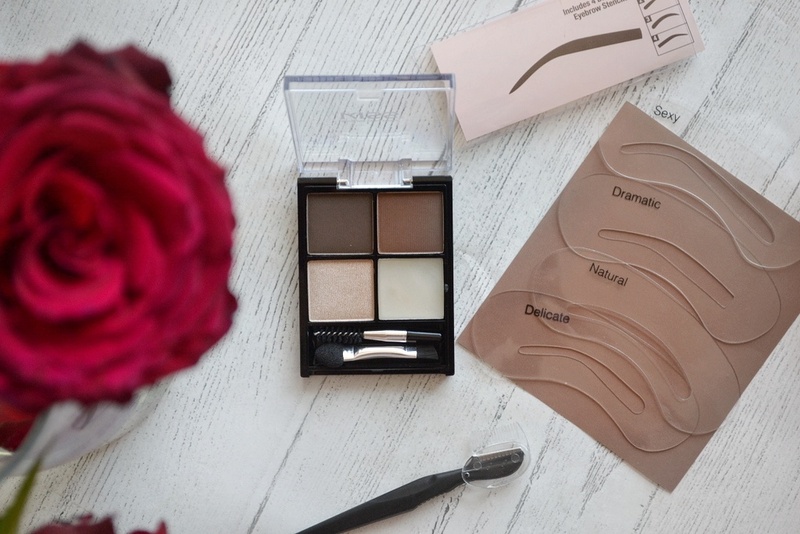 It's made me remember why I used powders to fill in my brows, and for covering hair loss this does give you a couple of options (the different shades, stencils etc). There are probably better brow kits out there, but for the price, this isn't half bad. Which products do you use to fill in your brows? Are you a fan of brow kits? This product was kindly gifted to me, however, as always my reviews are always 100% honest.